On Monday, U.S. authorities said that they had seized $ 150 million from a Lebanese bank. The bank is alleged to be central to international money-laundering schemes run by Lebanese Shi’ite group Hezbollah. Federal prosecutors accused bank officials of the Lebanese Canadian Bank of willfully participating in a scheme in which money was sent from Beirut to purchase used cars in USA. Later, the cars were sold in West Africa, and proceeds were smuggled back to Lebanon by Hezbollah-linked groups. Hezbollah has been declared by the U.S. government as a terrorist group and is an Islamist guerilla and political movement backed by Iran. It was formed in Lebanon after Israel invaded that country. U.S. officials from the U.S. Drug Enforcement Administration said that Hezbollah has become highly involved in drug trade and in the distribution and sale of cocaine in West Africa. The money was seized from accounts of the bank held with different banks including Citibank and Standard Chartered. The other banks have not been accused of involvement in this particular instance of Hezbollah-involved money laundering. 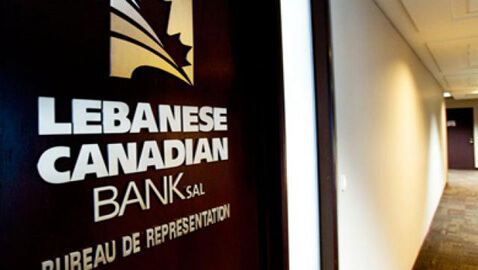 Representatives of the Lebanese Canadian Bank, which is now merged with the Lebanese subsidiary of Societe Generale, did not provide any further insights. The U.S. Treasury had already declared the bank as a “primary money-laundering concern’ in 2011. U.S. Drug Enforcement administration chief Michele Leonhart said in a statement, “As we alleged last year, the Lebanese Canadian Bank played a key role in facilitating money laundering for Hezbollah controlled organizations across the globe.” Leonhart further said, “Our relentless pursuit of global criminal networks showed that the U.S. banking system was exploited to launder drug trafficking funds through West Africa and into Lebanon.